The reaction to the death of a loved one is grief. Our family has had its share of losses and heartache. 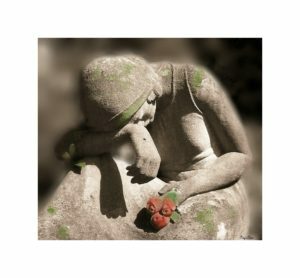 The death of our Mom, a boyfriend lost to suicide and the demise in quick succession of two best friends. Last week, one of our cousins died. He was in his sixties and had a loving family. Diagnosed with incurable cancer, he lived longer than anyone expected. In the end, one doctor said there was nothing they could do to save him. However, another doctor said he could perform a procedure that would prolong his life by four months. The family mulled over the options. They decided to let their father go without subjecting him to an operation, which may or may not have been successful and would cause more pain. His daughter kept us informed of what she called her father’s “journey.” We knew she was grieving. Yet she played the role of family communicator. Perhaps that role helped her get through some of the grief. Grief can take many forms, but it can’t be “fixed.” The best thing is to acknowledge it and move through the pain. We need not be in a hurry to rush through it or put on a stoic face. It will take as long as it takes. Moreover, how do we take care of ourselves during those difficult weeks, months or years? Find a way to express it. Scream under a railroad overpass, a la Sally Bowles. Paint, journal, go out for a run or very fast walk, or just get out into nature to share your sadness with the ocean or the trees. Companionship helps. Grief needs to be aired and shared. Talk to someone who will just listen without trying to “fix” your grief. This entry was posted in Uncategorized and tagged cancer, death, grief, loss. Bookmark the permalink.